Certain provisions of the Health Legislation Amendment (Quality and Safety) Act 2017 No.52 (Vic) (the Amending Act) amended the Health Services Act 1988 (Vic) (the Act) on 1 April 2018. The Amending Act has also made consequential amendments to a number of other Acts. establishing and maintaining effective systems to ensure that the health services provided meet the needs of the communities served by the public hospital and that the views of users and providers of health services are taken into account. 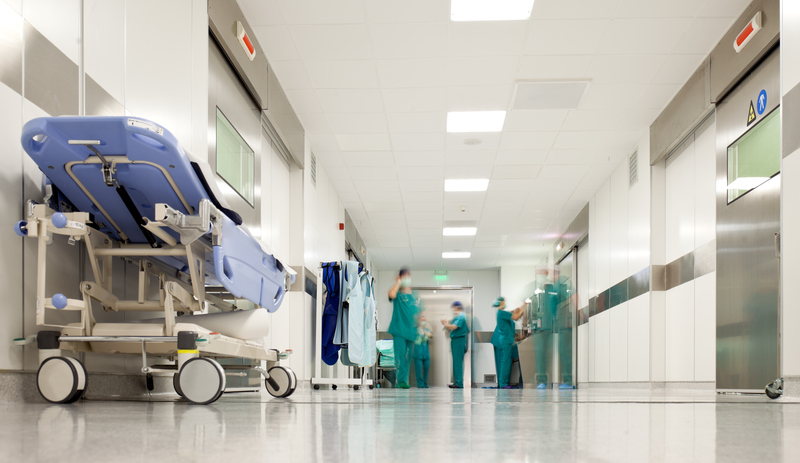 In light of this change, public hospitals should ensure their boards are made aware of the full list of new functions contained in section 33 of the Act (as set out more fully in the VIC – Provision of Public Health Care Services module). Public hospitals should also be aware that the Amending Act has introduced section 34A to the Act which provides that in relation to board re-appointments made on or after 1 April 2021, directors of a public hospital board are only eligible for re-appointment if the combined term of the initial appointment, any re-appointment and any proposed re-appointment does not exceed 9 consecutive years (unless the Minister approves otherwise). In addition, public hospitals should note that the newly introduced section 35A in the Act now provides that as soon as practicable after the board of a public hospital elects a director to be chairperson or removes their chairperson from office, the board is required to give written notice to the Secretary to the Department of Health and Human Services (Secretary) of that election or removal. Public hospitals should also be aware that the newly introduced section 40F of the Act now requires the board of a public hospital to advise the Secretary if it wishes to exercise its functions in a manner that is inconsistent with its approved strategic plan. In addition, public hospitals should note that the new section 40G of the Act requires the board of a public hospital (for every financial year) to prepare in consultation with the Secretary, a proposed statement of priorities in relation to the public hospital in accordance with section 40H of the Act, and to submit that proposed statement to the Secretary. It is important to note however that this requirement does not apply to the Queen Elizabeth Centre, or the Tweddle Child and Family Health Service. implementing effective and accountable systems to monitor and improve the quality, safety and effectiveness of health services provided by the public hospital. All public hospital CEO’s should familiarize themselves with the full list of functions contained in section 40I of the Act, (as set out more fully in the VIC – Provision of Public Health Care Services module). developing financial and business plans, strategies and budgets to ensure the accountable and efficient provision of health services by the multi-purpose service and the long term financial viability of the multi purpose service. As a result of this change, multi-purpose services should ensure their board of directors are made aware of the full list of new functions contained in section 115E of the Act (as set out more fully in the VIC – Provision of Public Health Care Services module). In addition, multi-purpose services should note that the newly introduced section 115GA in the Act now provides that as soon as practicable after the board of the multi-purpose service elects a director to be chairperson or removes their chairperson from office, the board is required to give written notice to the Secretary to the Department of Health and Human Services (Secretary) of that election or removal. Multi-purpose services should also be aware that the newly introduced section 115JB of the Act requires that subject to the Secretary’s approval, the board of a multi purpose service must appoint or re-appoint a chief executive officer of the multi purpose service and determine the remuneration of the chief executive officer and the terms and conditions of the chief executive officer’s employment. Moreover, section 115JB requires that a vacancy in the office of the chief executive officer of a multi purpose service must be filled as soon as possible. informing the board, the Secretary and the Minister without delay of any significant issues of public concern or significant risks affecting the multi purpose service. In light of the newly inserted section 115JC, CEO’s of multi-purpose services should familiarize themselves with the full list of functions contained in that section (as set out more fully in the VIC – Provision of Public Health Care Services module). Finally, multi-purpose services should be aware that the newly inserted section 115NA in the Act requires the board of a multi-purpose service to advise the Secretary if it wishes to exercise its functions in a manner that is inconsistent with its approved strategic plan.